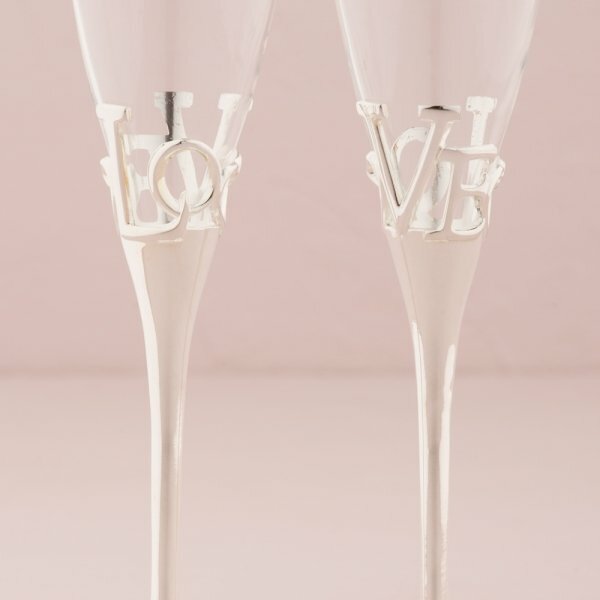 The word LOVE wraps around the top of the silver plated stems of these items. 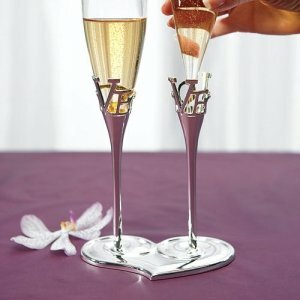 Sitting atop the stem are a pair of removable glass champagne flutes (design shown in the photo). 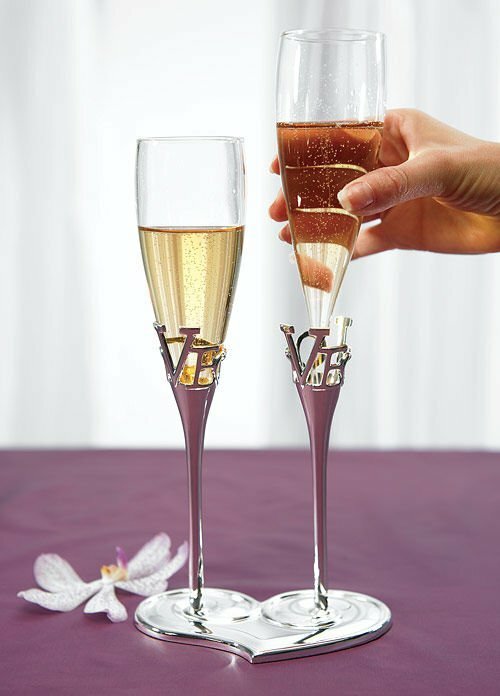 The flutes will not stand alone when taken out of the bases, but are designed for you to toast your union and then place them back into the stems. 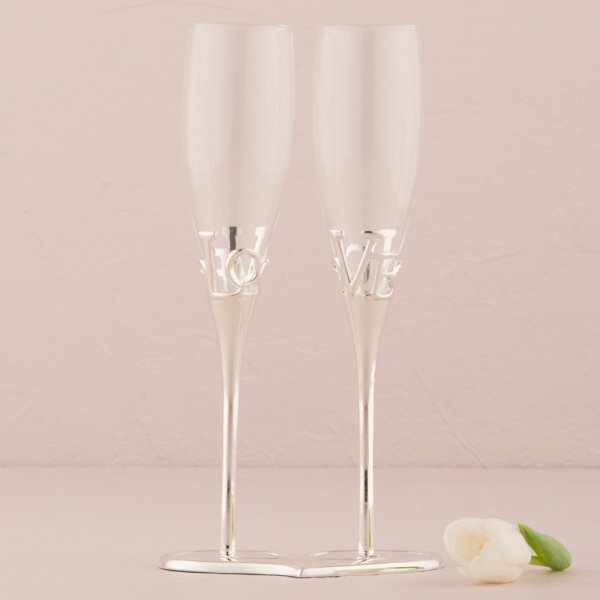 The unique and intricate design make these flutes keepsakes that you'll treasure for years to come. 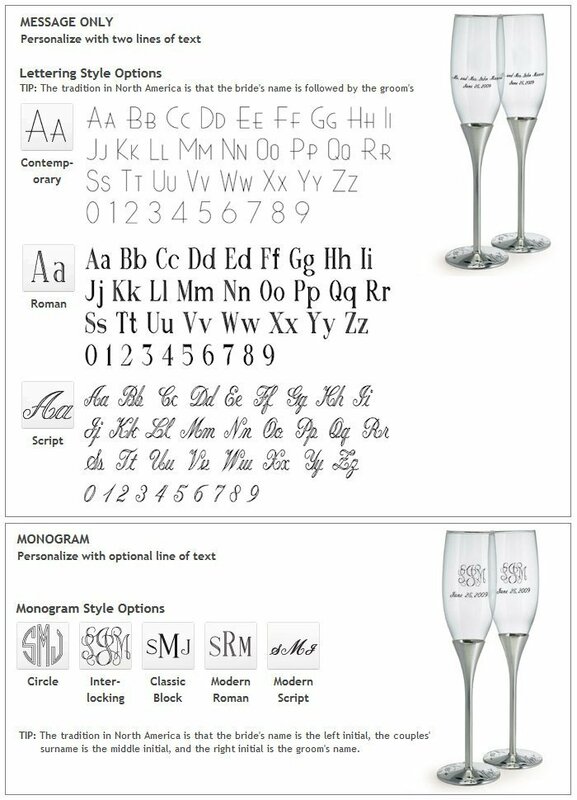 Product dimensions - 10" tall, 6 ounce capacity.